Transport infrastructure in the United Kingdom and elsewhere in the world faces a number of challenges including capacity issues due to population increase. Airports, like other forms of public transportation, need to not only maximise capacity from their current facilities but also look at growing the facilities to accommodate increased passenger use. 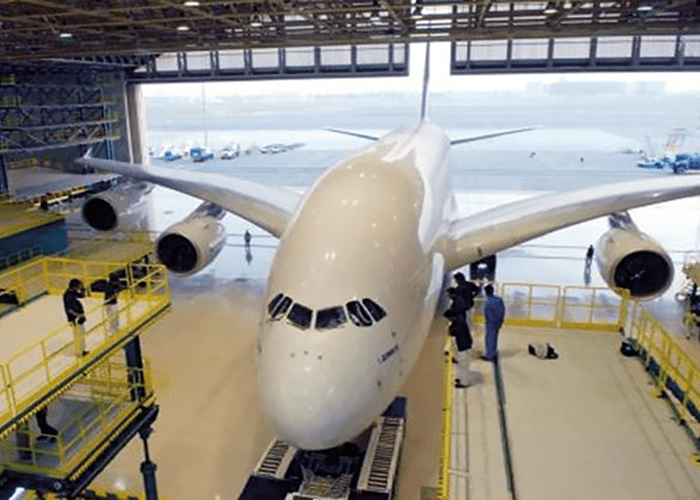 This can be addressed by the provision of additional runways and associated infrastructure including new terminal buildings, aircraft maintenance hangers and freight handling facilities. The majority of mainstream buildings in the United Kingdom are built to comply with prescriptive fire safety design codes. These codes have been developed by committees based on research and best practice and assume a typical building design. The code requirements are primarily focussed on the life safety of the occupants. They are very large, highly complex buildings and often include innovative design. They involve large numbers of public occupants as well as a complex support system to facilitate the building function including retail, baggage handling and security. Security separation needs to be maintained between the airside and landside areas. The arriving and departing airside passengers may also need to remain separate. For airside areas of a terminal building evacuating passengers at ground floor level would result in them exiting onto the tarmac. This would introduce a host of safety issues relating to aircraft movement and security. Operational continuity needs to be protected. Property damage as a result of fire needs to be limited. Large Emirates hangers at Dubai International Airport. As a result of the challenges highlighted above, conventional code compliant fire safety solutions may not be the most appropriate and it is likely that a risk based, fire engineered approach will be used for a new terminal building’s design. The application of a fire engineered approach should follow a structured process as defined in BS7974 – Application of fire safety engineering principles to the design of buildings, 2001. The process should include a qualitative design review, quantitative analysis of the design, assessment against criteria and reporting and presentation of the results. The approach commences with a qualitative design review meeting which involves all relevant stakeholders including the client, architect, engineers, fire brigade and fire consultants. The qualitative design review should include a review of the architectural design and occupant characteristics, the fire safety objectives, identification of the fire hazards and possible consequences, trial fire safety designs, identification of acceptance criteria and methods of analysis and fire scenarios for analysis. Drawing on the meeting outcomes a comprehensive fire strategy will be developed addressing the areas outlined above. 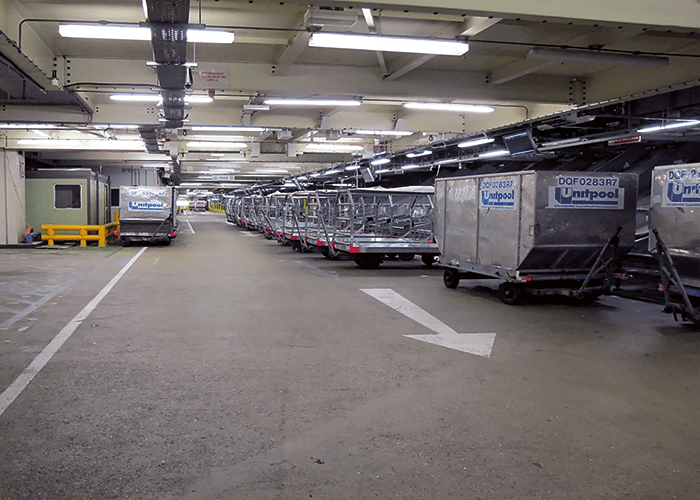 This will include fire safety in areas such as the baggage handling zone which requires careful consideration as it generally consists of a large volume with many baggage conveyors, sorters, platforms and mezzanines. There are issues associated with means of escape due to the highly complex environment and extended travel distances and also the maintenance of compartmentation between the handling hall and other parts of the terminal. A fire engineered approach ensures that the airport terminal design provides a high standard of fire safety for occupants whilst minimising the risk of fire affecting the operation of the terminal or of damaging the fabric and contents of the building. A view of part of the baggage handling area in a terminal at London’s Heathrow Airport. Once the terminal has been completed all relevant fire safety documentation should be handed over to the person responsible for the fire safety management of the premises. This is to ensure that they understand how the safety systems work in the event of fire and what maintenance activities associated with these systems need to be carried out. In the United Kingdom once a building is occupied it becomes subject to the Regulatory Reform (Fire Safety) Order 2005. The Order places a duty on the responsible person to ensure as far as is reasonably practical the safety of employees and to take such fire precautions as may be reasonably required to ensure that the premises are safe for others resorting to the premises. Under the Order there is a requirement to carry out and continually update a assessment of the risk of fire to people in and around the premises and to assess and maintain the measures to reduce the risks to an acceptable level. An emergency evacuation plan also needs to be drawn up. Fire and rescue services are responsible for enforcing this legislation and carry out audits of premises to review fire safety compliance. This assists in ensuring that the fire safety measures provided in an airport terminal are managed and maintained to an appropriate standard over time.